IF If customers spend a minimum of $1000 during the event. 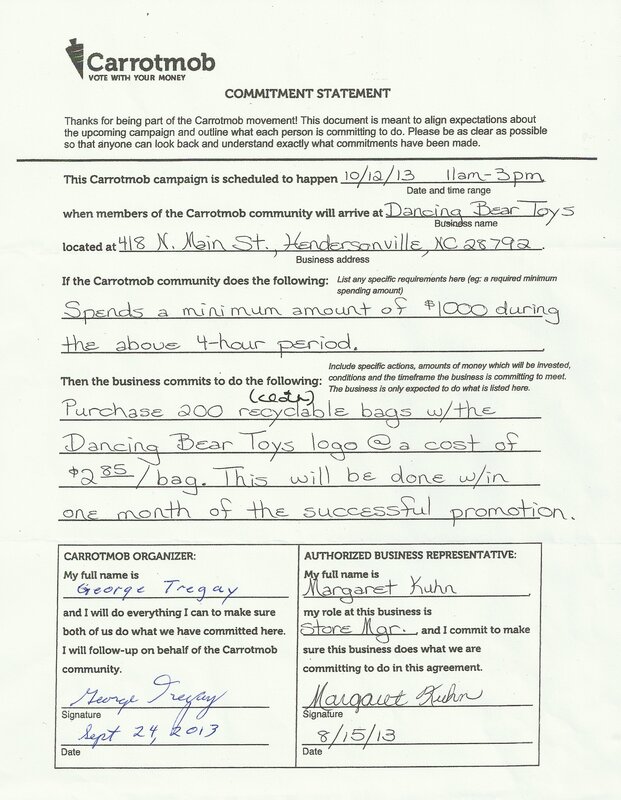 THEN Then Dancing Bear Toys with purchase 200 reusable cloth bags for customers within one month of the event. 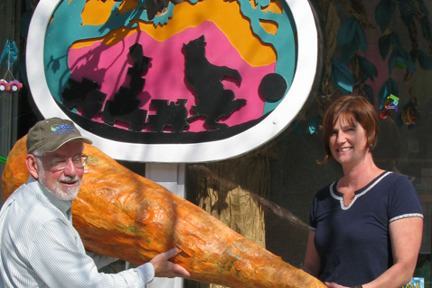 The third Carrotmob in Hendersonville NC sponsored by Environmental and Conservation Organization (ECO) will help Dancing Bear Toys reduce use of paper bags. The 4th Hendersonville Carrotmob contributed to sales of about $1800 during four hours on Saturday October 12. Surpassing the $1000 goal will allow Dancing Bear Toys to purchase reusable cloth bags and give them away for large purchases later in the year. This is what a Carrot mob is all about. An organization such as Environmental & Conservation Organization (ECO) agrees to bring more customers to the store and the store agrees to promote more environmentally sustainable practices. This event helped bring 392 people into the store on Saturday and everyone has fun in a toy store.